just a quick update to let everyone know that we have 2 guest dj,s for the easter special soul night ....mike keddy will be bringing all his all time favourite original uk vinyl gretna classics that he bought back in the day !!! 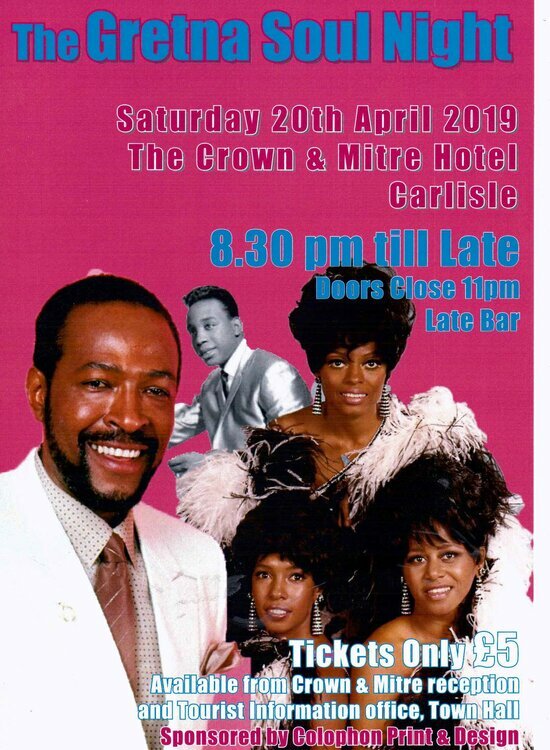 to get the night in full swing ,and then chris patrickson will be joining us with all the best dance floor favourites from the 60.s and 70,s soul and motown from his collection to keep us in full throttle ....its gonna be a belter ! !